Last year, the Radio & Television Correspondents Dinner featured the comedian John Hodgman. 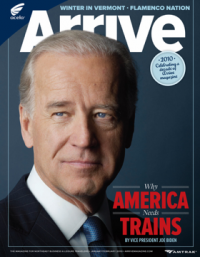 This year it featured the comedian Joe Biden, probably best known for his role as the Vice President of America. He bombed. But mainly because it made us remember the cover. Don't quit your day job, Joe.